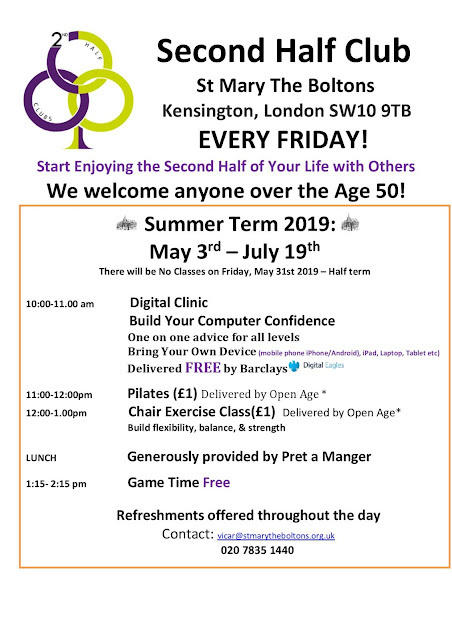 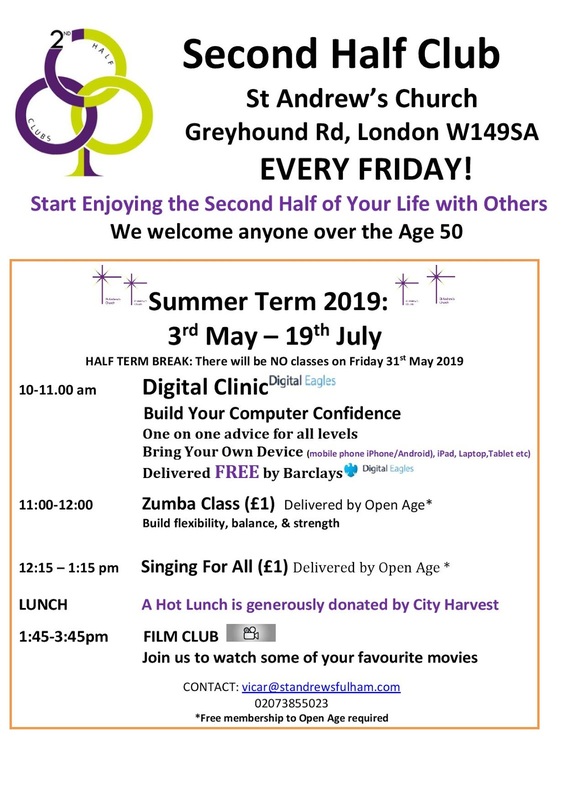 Since 2016, The Second Half Foundation, Diocese of London, Open Age and Barclays Bank: Digital Eagles partnered to create – Second Half Clubs - a time when older people can come together as a group to enjoy group activities, make new friends, exercise, sing, learn new computer skills and just have fun! Lunch is provided free by City Harvest and Pret A Manager. The Diocese of London and the Archdeacon of Middlesex, The Venerable Stephen Welsh, have taken a leading role to help create new church communities where churches become hubs of the community on days not of worship and promote active ageing. 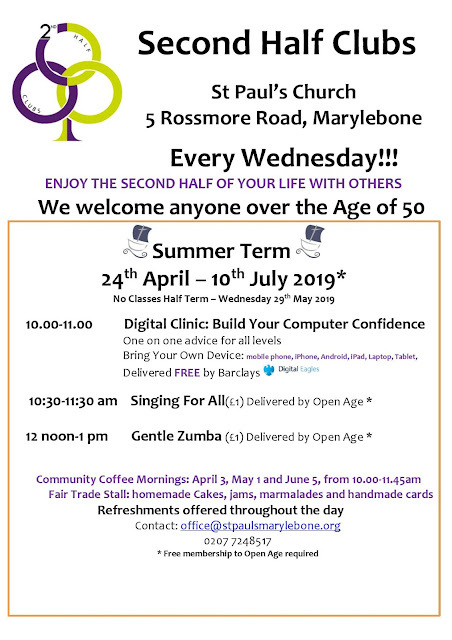 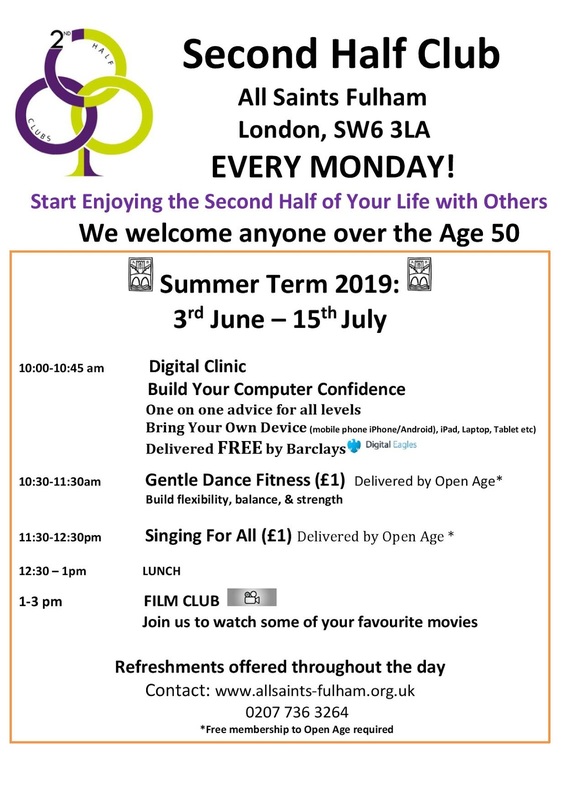 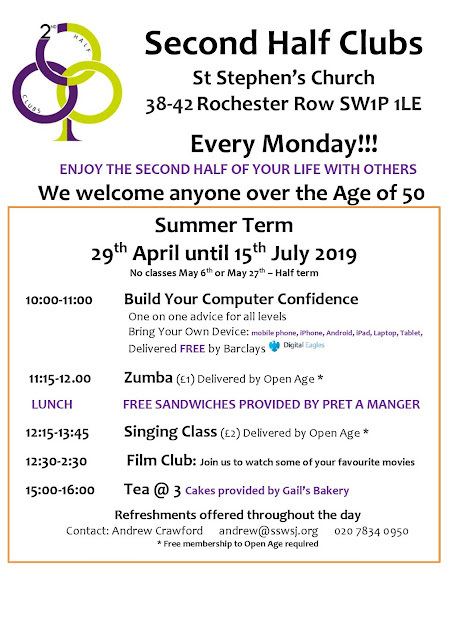 There are now five Second Half Clubs: St Stephens Church on Rochester Row SW1 (every Monday) and All Saints Fulham SW6 (every Monday), St Paul’s Church on 5 Rossmore Road NW1 (every Wednesday), St Andrews Church W14 (every Friday) and St Mary The Boltons SW10 (every Friday).